Fiesta’s 120 hp or the Sonic’s 135 hp. home about when the competition is boasting trendy 6-speed gearboxes. only improvement of note though is a slightly thicker stabilizer bar. drive compared to its friskier competition. 30/35. My average was 33mpg for the week I had the Yaris. the instrument panel had moved to where I would normally look for it. I never was a fan of the center dash pod. being stacked and overall the dash looks more modern and is more functional in usage. The dash did, however, lose its flip-out cupholders and the storage bin behind the steering wheel is now gone. you can squeeze out even more room. Package adds A/C, cruise control, keyless entry and power windows. It’s a big improvement over the 2011 Yaris. My Yaris LE 5-Door Liftback came in at $17,290 delivered. 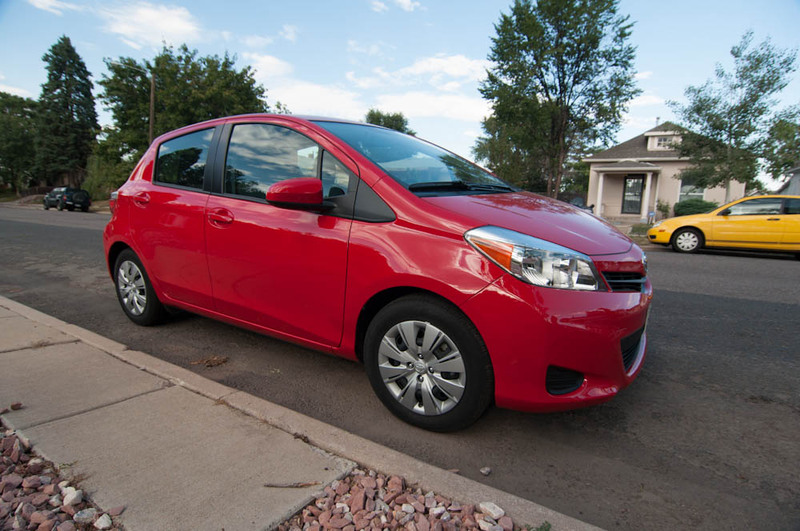 The 2012 Yaris LE though significantly better than its predecessor is still trying to catch up to its more fuel-efficient, often better equipped, more fun to drive competition. Snoop Lion “La La La” Music Video — What the Hell Happened to Snoop?